In Hello Neighbor you’ll play as a concerned neighbor of a mysterious, seedy character who is hiding a dark secret in his basement. The object of Hello Neighbor is to explore your neighbour’s home and to collect as many keys as you can, to find out what your neighbor is hiding in their basement. Unlike a lot of the stealth, horror games on the market, Hello Neighbor features an intelligent AI system, which remembers the actions you take. As an example, if you keep taking the same route around your neighbor’s home, you should expect to be stopped in your tracks by your neighbor, who will have discovered a pattern in your behaviour. Or as another example, if you frequently climb in and out of windows, your neighbor may place a well positioned trap next to each window. One way to increase your chances of survival is to set up traps in your neighbor’s home. As an example, a well placed bear trap, can prevent your neighbor from catching you sneaking around their house. Just be sure to remember where you place each trap, so you don’t accidentally become a victim of one of your own traps. When you’re sneaking around your neighbor’s house, looking for answers, make sure to keep an eye out for surveillance cameras. As, if you walk right infant of a security camera, it’s very likely that you’ll be caught as your neighbor will immediately know what room you’re in and will be able to catch you by surprise. 4. An expansive map to explore. Instead of spending the entire game exploring a dark, creepy basement, you’ll be able to search your neighbor’s entire property, including their rooftop and garden for valuable clues and equipment. 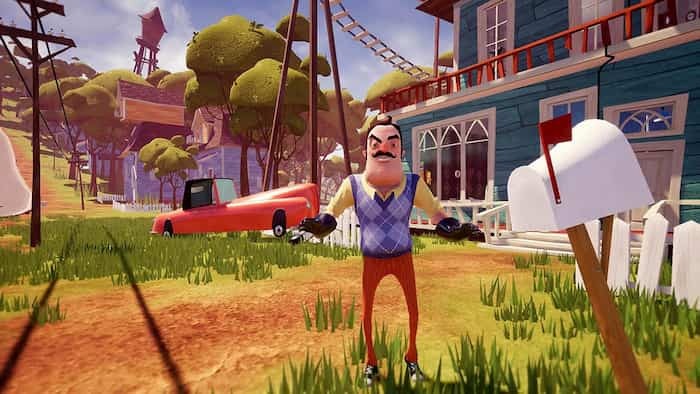 As you explore Hello Neighbor’s map, you’ll quickly discover that there are quicker ways to get from location to location. So make sure to keep your eye’s peeled for as many handy short cuts as you can find as your nemesis will frequently use shortcuts in order to catch you. 6. Complex puzzles to solve. In order to discover what your mysterious neighbor is up to, you’ll need to solve a series of increasingly complex puzzles. So if you’re a fan of puzzle focused games, you’ll be suitably challenged. While you won’t be able to shoot your crazy neighbor, you will be able to stun your neighbor by throwing weapons at them. Once you’ve successfully stunned your neighbor, make sure to run to safety as he’ll only be stunned for a few seconds. 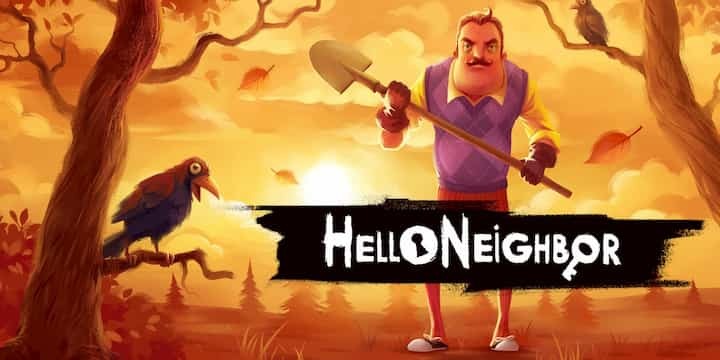 While in some stealth based horror games your character is killed if they are caught by their nemesis, in Hello Neighbor if you’ve apprehended you’ll simply find yourself returned back to your house. However, the downside of this, is that you’ll have to collect all the keys which you’ll need to get into your neighbor’s basement again. Sometimes when playing Hello Neighbor, bluestacks ask you fee to pay but gives you option to download some apps. Every time it asks you just select “Install apps” and continue using it free. I hope you enjoyed this article, please rate and share. If you have problems running Hello Neighbor on your desktop or any other issues, leave a comment below.